The UN's Universal Declaration of Human "Rights"
Some people, particularly in other parts of the world, praise the UN's Universal Declaration of Human Rights and seem to think it's really something special. I've never paid any attention to it myself, even though I've heard it mentioned for years. I had never read it to see exactly what it actually said, but curiosity finally got to me. So, I guess it's time to put my nose to the slime-stone and see what's in there. Oh, look! It starts with a preamble. All important documents should have a preamble. Let's see what's in it. I notice the English used is a little awkward here and there. I'll pretend I don't notice. Hmmm. The preamble displays some seriously flawed misconceptions, such as the delusional belief in "the rule of law", which you probably realize is a myth always and forever, everywhere. It's simply not a "thing". It also pretends "nations" can act and develop "friendly relations" with each other, and that this is somehow tied to human rights. Well, governments fighting each other can be seriously bad for the people caught in the middle, but the solution for that is the dissolution of the offenders. The declaration is determined to promote "social progress", yet it promotes government supremacy which is the opposite. This is dangerously regressive thinking. It also, as is so common, mistakes freedom for liberty. It's a convenient conflation. The pompous preamble ends by pretending territories can be under the jurisdiction of "Member States". So, that was kind of a mess. Let's see what the rest of the thing says. Furthermore, no distinction shall be made on the basis of the political, jurisdictional or international status of the country or territory to which a person belongs..."
"...whether it be independent, trust, non-self-governing or under any other limitation of sovereignty"
"Everyone has the right to life, liberty and security of person." "Everyone has the right to recognition everywhere as a person before the law." "No one shall be subjected to arbitrary arrest, detention or exile." "(1) Everyone charged with a penal offence has the right to be presumed innocent until proved guilty according to law in a public trial at which he has had all the guarantees necessary for his defence." "(2) Everyone has the right to leave any country, including his own, and to return to his country." "(1) Everyone has the right to a nationality." "(2) No one shall be arbitrarily deprived of his nationality nor denied the right to change his nationality." "(1)...the right to marry and to found a family..."
"(2)...the free and full consent of the intending spouses." "Everyone has the right to freedom of thought, conscience and religion..."
"(1) Everyone has the right to freedom of peaceful assembly and association." "(2) No one may be compelled to belong to an association." "(1) Everyone has the right to take part in the government of his country, directly or through freely chosen representatives." "(2) Everyone has the right of equal access to public service in his country." "(3) The will of the people shall be the basis of the authority of government; this will shall be expressed in periodic and genuine elections which shall be by universal and equal suffrage and shall be held by secret vote or by equivalent free voting procedures." "(1) Everyone has the right to work, to free choice of employment, to just and favourable conditions of work and to protection against unemployment." "(2) Everyone, without any discrimination, has the right to equal pay for equal work." "(3) Everyone who works has the right to just and favourable remuneration ensuring for himself and his family an existence worthy of human dignity, and supplemented, if necessary, by other means of social protection." "(4) Everyone has the right to form and to join trade unions for the protection of his interests." "(1) Everyone has the right to education..."
"Education shall be free, at least in the elementary and fundamental stages..."
("Free"? Wait, are you speaking of education or schooling?). "Elementary education shall be compulsory." "Technical and professional education shall be made generally available and higher education shall be equally accessible to all on the basis of merit." 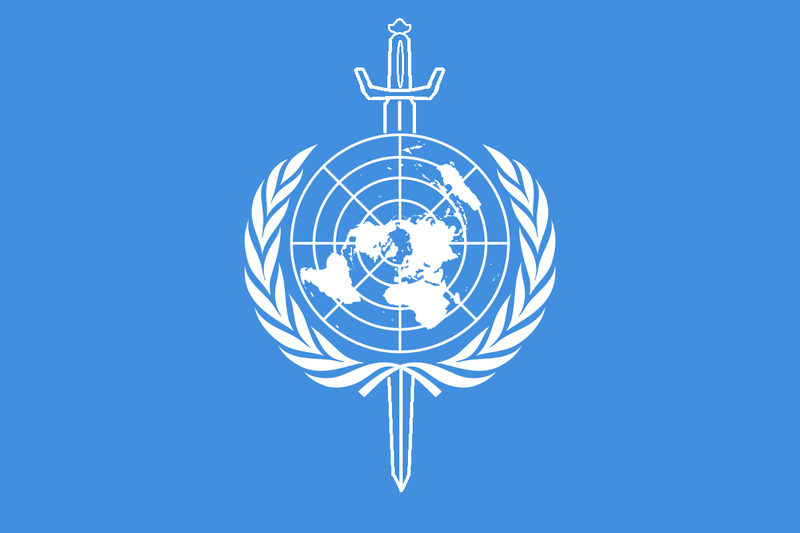 "(2) Education ... shall further the activities of the United Nations for the maintenance of peace." "(3) Parents have a prior right to choose the kind of education that shall be given to their children." "(1) Everyone has the right freely to participate in the cultural life of the community, to enjoy the arts and to share in scientific advancement and its benefits." "(2) Everyone has the right to the protection of the moral and material interests resulting from any scientific, literary or artistic production of which he is the author." "Everyone is entitled to a social and international order in which the rights and freedoms set forth in this Declaration can be fully realized." "(1) Everyone has duties to the community in which alone the free and full development of his personality is possible." "(2) In the exercise of his rights and freedoms, everyone shall be subject only to such limitations as are determined by law solely for the purpose of securing due recognition and respect for the rights and freedoms of others and of meeting the just requirements of morality, public order and the general welfare in a democratic society." "(3) These rights and freedoms may in no case be exercised contrary to the purposes and principles of the United Nations." And that's the end of the thing. So, it's a mixed bag. Not as bad as I had supposed, but falling far short of actually recognizing, much less helping individuals protect, their natural human rights in accordance with living in liberty. It's much too excited about "democracy", and can't seem to shake the superstitious belief that government is somehow legitimate and has "rights" over what to do with the individual people laboring under the weight of supporting this elitist millstone. It recognizes some natural human rights while promoting some unnatural human "rights". There are much better rights-promoting documents, but no document can protect rights. That's up to you and me, as individuals. And States, as promoted by this document, are the natural enemy of rights and liberty.